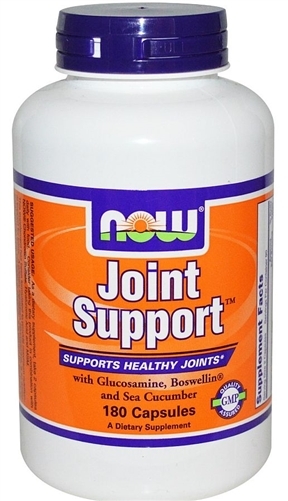 Supports healthy joints with Glucosamine, Boswellin and Sea Cucumber. Contains shellfish (crab, shrimp, lobster, crayfish) and fish (sea cucumber). Take 2 capsules 1 to 3 times daily with meals or as directed by your healthcare practitioner. Natural color variations may occur in this product. Keep in bottle. Store in a cool, dry place.